Tuesday Therapy: What Happens Next? Foz Meadows is the author of Solace and Grief and The Key to Starveldt, YA urban fantasy novels that take readers into a version of Sydney filled with vampires, secret medieval dungeons and a swan-obsessed cat — among other marvellous things! The Sun Herald called Solace and Grief ‘an absolute ripper of a debut from a young Melbourne writer’ and Bookseller + Publisher describes her work as ‘a clever and funny supernatural romp, with a chilling underside to it…a smart and appealing read for the Vampire Academy crowd.’ Thanks to the wonders of technology (namely, Youtube) if you would like to hear the author herself read a snippet from The Key to Starveldt, click here. This week, Foz shares a mantra that makes so much sense, I think we should all read this post at least twice. She only told me this recently – it was so long ago I’d forgotten ever doing it. But learning I had made me smile, because as an adult, asking myself ‘What happens next?’ is as close to a writing mantra as I come. Whenever I’m stuck, I sit and consider where the characters are. How do I move them on to the next location – what literally happens next? Do they need supplies? Do they have to rest, or finish a conversation, or check the lie of the land? Quite often, the simple act of focusing on what the character physically needs to do presents a solution. I’ll realise: Ah, Character A has to go to the stables now, which means he’ll run into Character B, and because it’s the first private moment they’ve had in days, they’ll end up having an emotionally fraught conversation about how they feel. Or else: There’s no reason to show Character C getting back to the house – instead, I should skip ahead to when she’s already home and Character D turns up. It’s a question that helps with the big picture, too. What happens once they arrive at the palace? Will the courtiers welcome them, or will they be met with hostility? Will it be a short visit, or will they be there for longer than expected? By itself, asking ‘What happens next?’ might sound too vague and all-encompassing to be useful, but if you can apply it to specific aspects of your story – like a character’s immediate actions, or how a particular future event could play out – it becomes amazingly useful. Don’t be afraid to get things wrong, either – the beauty of free will is that both we and our characters can choose between many different courses of action, and sometimes, it’s the act of writing the wrong one that helps us pinpoint what actually needs to happen. Foz Meadows is a bipedal mammal with delusions of immortality. She likes cheese, geekery, writing, webcomics and general weirdness. 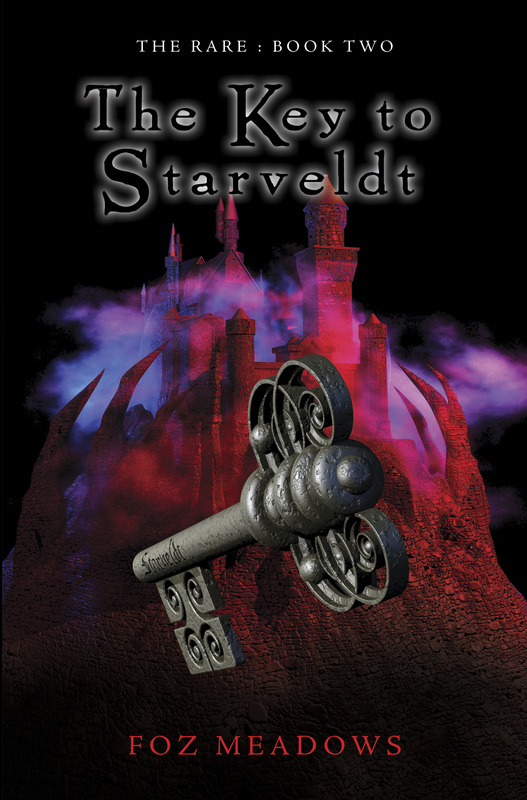 Her novels, Solace and Grief and The Key to Starveldt, are now available from Ford Street Publishing. You can find her online here. Foz currently lives in St Andrews, Scotland, with not enough books and her very own philosopher. Surprisingly, this is a good thing. Tags: ford street publishing, foz meadows, solace and grief, the key to starveldt, tuesday therapy, writing advice. Bookmark the permalink.